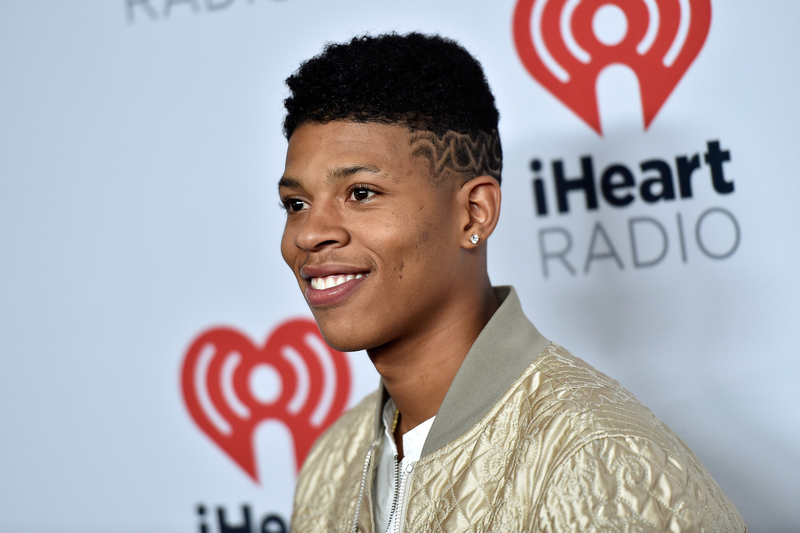 It's been quite a year for Bryshere Gray, aka Yazz, who plays Hakeem on Empire . The Philadelphia native went from trying to launch his rap career to starring on the breakout musical soap opera that has fans glued first to their TVs and then to their earbuds. The show allows Yazz to shine as an actor and an artist (Let's have a show of hands if you still can't get "Drip Drop" out of your head.) and from the look of the trailers, Empire Season 2 promises to be just as bold and addictive as Season 1. Being on a hit network show opens up a lot of doors, and Gray walked through several of them during his summer vacation. And so is Bryshere "Yazz" Gray. Here's what the rising star was up to in the break between Empire seasons, right after a drunk recap of Season 1 to get you ready for the return of all the Lyons. That's Yazz and his co-star Serayah sitting front row at the Moschino show with singer Tinashe. I'm digging his branded racing jacket and Serayah's electric blue cat eye to match. The Empire cast made the rounds on major award shows this season, and I still couldn't get enough of them. Here they are performing at the Teen Choice Awards, where they also rightfully took the award for Breakout TV Show. Yazz and Jussie Smollett went hard on "No Apologies," the Lyons' brothers anthem of independence. 4. But What About The Billboard Awards? "If you love life, make some noise!" said by a person who is definitely loving life. And everyone was there for the Lyon brothers in touchable camel coats. Empire does most of its filming in Chicago, so Gray got his own place close to the action. Watch out for that lake effect snow, Yazz! That's Gray's best friend Prince, and he is the fluffy companion of my dreams. Petition to get Prince an Empire cameo as long as he stays far, far away from Lucious? Gray helped the Empire family get back into the swing of things by performing at FOX's premiere party for the show. Bring on Season 2! Yazz had a working vacation for sure, and I'm thrilled to see that the Empire star is making professional moves.